Womens Sleepwear - At the end of a long and busy day there’s nothing nicer than slipping into your favorite comfy sleep wear and savouring those last few relaxing moments before you doze off. And, with so many great styles to choose from it’s easier than ever to find the perfect nightie that complements your silhouette and personality. In this sleep wear guide we’ll take you behind the scenes for an insider’s look at everything that you need to know - from the best nightgowns for your shape and fundamentals on how to save, to surprising facts and myths, and more. Brushed Back Satin Nightgowns - Which One Is The Best? Which Night Gowns Are The Best For Your Shape? If plain and practical aren’t your cup of tea and you yearn for something unique and uplifting, not to worry, we’ve got you covered. It’s easy to leave ho hum behind and embrace sensational sleepwear for women like never before in luxurious styles and fabrics like designer flannel, sumptuous satin and romantic Victorian night gowns. Brushed back satin nightgowns - the ultimate in warmth with a touch of glamor, these cozy nightgowns are the perfect choice for those cold winter nights. From long sleeve to short, plain to print there are a multitude of great choices that will impress. How to pick the perfect nightie. 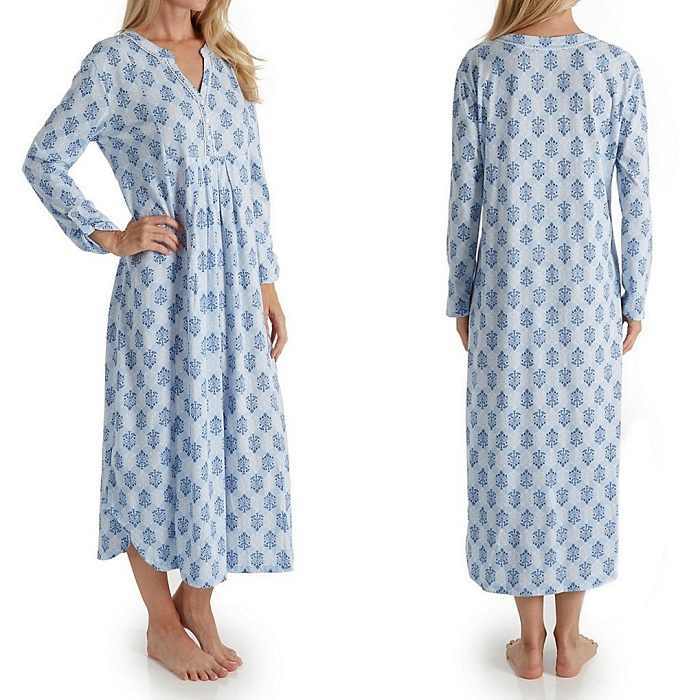 Flannel nightgown - as the days grow shorter and colder there’s nothing we love more than cuddling up in our favorite cozy warm flannel sleepwear - with a cup of hot chocolate (marshmallows, please). There are so many exciting styles, colors, and patterns to choose! Check out the insider tips. Petite sleepwear - when you’re petite it can be a struggle to find styles that don’t overwhelm your frame AND look amazing. No need to compromise with womens sleepwear brands that cater to petites and offer some of the most exciting sleep wear that we’ve ever seen. Discover our top picks. Satin nightdress - sensational, stunning and a non-stop glamor gal favorite, satin sleepwear makes our top ten luxury list. From short chemises to bias cut nighties, learn how easy it is to add your own extra pizzazz to this popular style. Find out more here. Victorian nightgown - the ultimate in romantic sleepwear from an era that’s as popular today as it was back then, this beautiful lingerie pays homage to a woman’s femininity. From luxurious lace necklines to delicately detailed hemlines that evoke the spirit of Jane Eyre, Victorian nightgowns top the luxe list. What you need to know. Victorians nightgowns are the best gifts - when it comes to gift giving for the lingerie lover who craves something unique and special, look no further than a Victorian nightgown. Want to learn why this womens sleepwear is the ultimate gift? 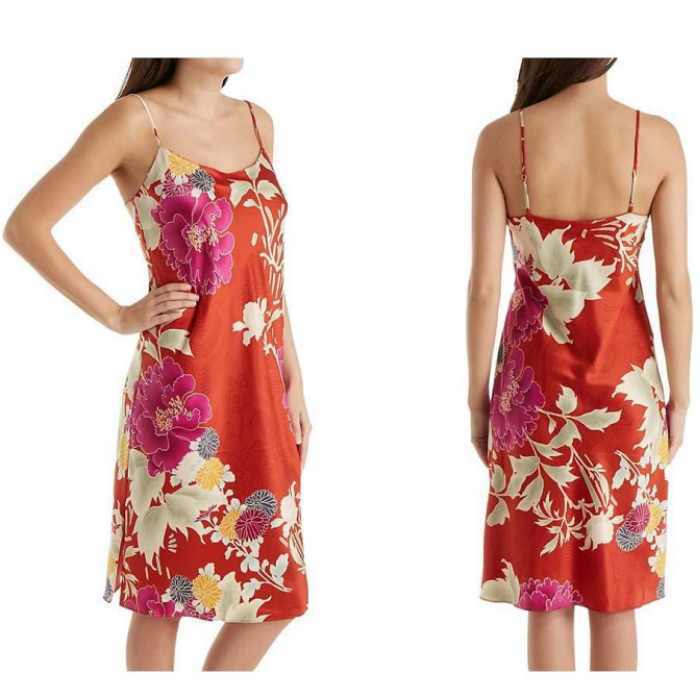 The ultimate gift in sleepwear for women. If, you live in a colder climate and want to keep cuddly warm, flannel sleepwear or brushed back satin night is one of the best choices that will keep you extra warm on cold winter nights. When it comes to the best womens sleepwear that you’ve EVER had the pleasure of shopping for, a little research goes a long way. From the best styles for your shape and which brands to buy to money-saving essentials, we’ve done the legwork for you. Follow along for these easy time saving tips and tricks. 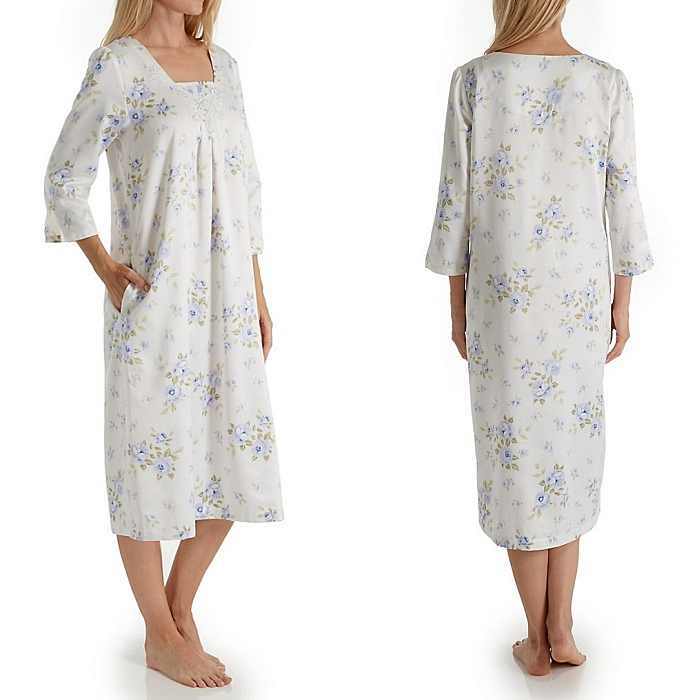 Long cotton nightgowns - pretty, practical, and always popular, womens cotton nightgowns are a beautiful basic that make a great lingerie drawer essential. Before you shop till you drop, take a quick look at a few of the surprising myths (and facts) surrounding this sensational sleepwear. Behind the scenes secrets. Women sleepwear - whether it’s a pair of warm snuggly pajamas, a luxurious tartan flannel nightgown, or a pretty petal pink nightie, nothing beats slipping under the covers in something that you absolutely love. Discover the easy tips and tricks to looking amazing without spending a fortune. How to save and shop smart. Which night gowns are the best? - Are you tall and thin? Petite and curvy? No matter what shape you’ve been blessed with, there are exciting sleepwear styles designed to flatter every amazing silhouette. The trick is knowing which features will complement your body and which ones you need to avoid. Uncover what you need to know. Night gowns that will simplify things - life is too busy to worry about whether your sleep wear is comfy cozy at the end of a long day. When your schedule is crazy and you don’t have the time to figure out what you need, no worries. We’ve done the work for you with this easy womens sleepwear guide. Check out the 5 best selling basics. 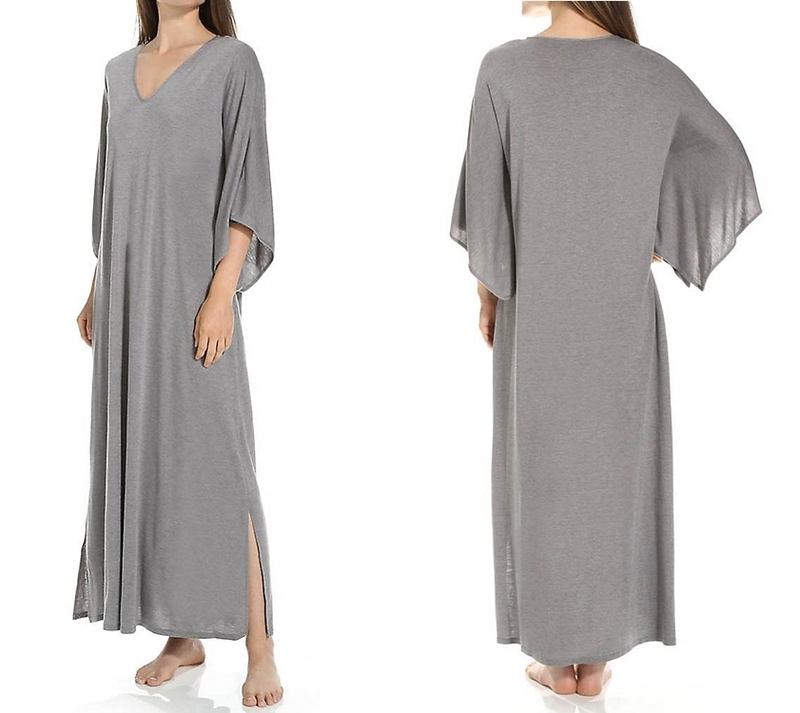 Night gowns when they don't fit - nothing is more frustrating than slipping into what you thought was the perfect women’s sleepwear and discovering that it’s not as nice as you thought it would be. We show you how to bypass a bad experience with the best night wear options. Find out more. Ladies nightwear that will improve sleep - did you know that getting a great night’s sleep is not just about going to bed earlier? The right sleep wear can also make or break how well you sleep. From the best styles to the right fabrics, we reveal the simple secrets. Learn more. For those who prefer modern sophistication with a touch of glamour, satin nightgowns and sleek silk sleepwear offer an exciting look.